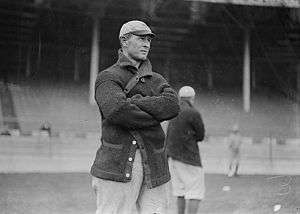 Cap Anson holds the longest tenure in franchise history and won more games than any other Cubs manager. The Chicago Cubs are a Major League Baseball team that plays in the National League (NL) Central Division. Since their inception as the White Stockings in 1876, the Cubs have employed 56 managers. The duties of the team manager include team strategy and leadership on and off the field. The Cubs have had 13 general managers. The general manager controls player transactions, hiring and firing of the coaching staff, and negotiates with players and agents regarding contracts. The first person to officially hold the title of general manager for the Cubs was Charles Weber, who assumed the title in 1934. The franchise's first manager was Baseball Hall of Famer Albert Spalding, who helped the White Stockings become the first champions of the newly formed National League. 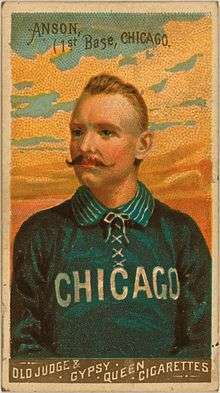 After co-managing with Silver Flint during the 1879 Chicago White Stockings season, Hall of Famer Cap Anson began an 18-year managerial tenure in 1880, the longest in franchise history. Under Anson, the team won five more NL pennants — in 1880, 1881, 1882, 1885 and 1886—tying the 1885 World Series and losing the 1886 World Series in the process. [a] Anson won 1,283 games as the White Stockings' manager, the most in franchise history. After taking over for Hall of Fame manager Frank Selee in 1905, Frank Chance — another Hall of Famer — managed the team through the 1912 season. During his tenure, the franchise won four more NL pennants in 1906, 1907, 1908, and 1910, winning its only two World Series titles in 1907 and 1908. Chance's .664 career winning percentage is the highest of any Cubs manager. After Chance, from 1913 through 1960, the Cubs employed nineteen managers, nine of which were inducted into the Hall of Fame. During this period, the Cubs won six more NL pennants, including three under manager Charlie Grimm. Split between Grimm's two managerial stints in the 1930s and 1940s, plus a brief appearance as manager in 1960, Grimm accumulated 946 career wins, second-most in franchise history behind Anson. 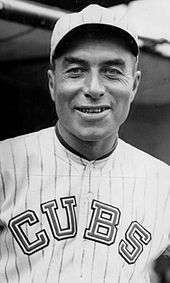 Owner P. K. Wrigley then began experimenting with the managerial position and in December 1960, announced that Cubs would not have only one manager for the coming season. Instead, the team implemented a new managerial system known as the "College of Coaches". The system was meant to blend ideas from several individuals instead of relying on one manager. 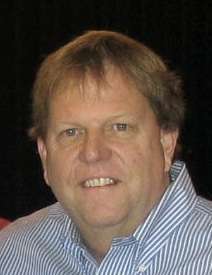 During its first year, the team rotated four different managers into the role: Vedie Himsl, Harry Craft, El Tappe and Lou Klein. The next year, under the guidance of Tappe, Klein and Charlie Metro, the Cubs lost a franchise-record 103 games. Bob Kennedy managed the team for the next three seasons until Hall of Famer Leo Durocher assumed the managerial role for the 1966 season, effectively ending the five-year-long "College of Coaches" experiment. During his first season as manager, Durocher's Cubs tied the franchise's 103-game loss record set four years earlier by the "College"; however, he maintained a winning record for the rest of his seven-year tenure. In the last 37 seasons since Durocher, the Cubs have had 22 managers. Jim Frey and Don Zimmer led the team to the National League Championship Series (NLCS) in 1984 and 1989, respectively. In both of those seasons, the team's manager won a Manager of the Year Award. 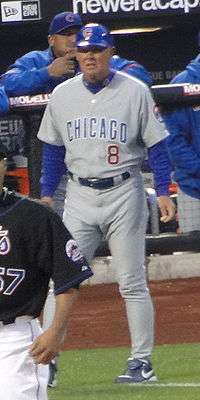 Jim Riggleman managed the team for five years from 1995 through 1999, earning the team's first and only wild card playoff spot in 1998. 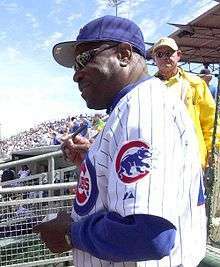 Dusty Baker's Cubs lost in the 2003 NLCS during the first year of a four-year managing tenure. Baker's successor, Lou Piniella, led the team to two consecutive National League Central Division titles during his first two years with the team and was awarded the 2008 Manager of the Year Award. On July 20, 2010, Piniella announced his intention to retire as manager of the Cubs following the end of the season. However, on August 22, 2010, Piniella announced he would resign after that day's game with the Atlanta Braves, citing family reasons. Third base coach Mike Quade would finish the rest of the season as manager. The Cubs' current general manager is Jed Hoyer, who replaced Jim Hendry. On November 7, 2013, the Cubs hired Rick Renteria as their new manager. He replaced Dale Sveum. He was fired on October 31, 2014 as the team prepared to hire Joe Maddon. A running total of the number of Cubs managers. Any manager who has two or more separate terms is only counted once. Belonged to the "College of Coaches"
Frank Chance led the Cubs to the franchise's two World Series Championships in 1907 and 1908. Fred Mitchell led the Cubs to the 1918 National League Championship. Don Zimmer won the 1989 NL Manager of the Year Award. Dusty Baker led the team to the NLCS in 2003. 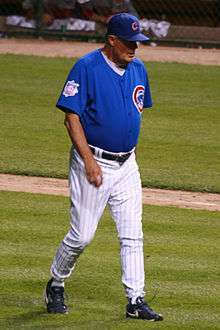 Lou Piniella, manager of the Chicago Cubs from 2007 to 2010, led the team to consecutive National League Central Division titles in 2007 and 2008.
a The 19th-century World Series was a different event from the current World Series, which was first played in 1903. The 19th-century World Series was considered an exhibition contest between the champion of the National League and the champion of the American Association. b Jim Frey won the Manager of the Year Award for the 1984 season. 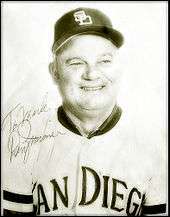 c Don Zimmer won the Manager of the Year Award for the 1989 season. d Lou Piniella won the Manager of the Year Award for the 2008 season. "Cubs' Managers". Major League Baseball. Retrieved August 4, 2009. "Cubs' General Managers". Major League Baseball. Retrieved August 4, 2009. "List of Hall of Famers". The National Baseball Hall of Fame and Museum. Archived from the original on April 13, 2009. Retrieved August 4, 2009. 1 2 3 4 5 6 7 "Chicago Cubs Managers". Baseball-Reference. Sports Reference LLC. Retrieved August 5, 2009. ↑ "Manager: Definition | Dictionary.com". Dictionary.Reference.com. The American Heritage Dictionary of the English Language. 2006. Retrieved February 24, 2009. ↑ Dickson, P. (2009). The Dickson Baseball Dictionary (Third ed.). W.W. Norton & Co. p. 530. ISBN 978-0-393-06681-4. 1 2 3 4 5 6 7 8 9 10 11 12 13 14 15 16 17 18 "Cubs' General Managers". Major League Baseball. Retrieved December 31, 2008. ↑ Schwarz, Alan (December 21, 2005). "2005 General Manager Roundtable". Baseball America. Retrieved February 24, 2009. ↑ Dickson, P. (2009). The Dickson Baseball Dictionary (Third ed.). W.W. Norton & Co. p. 362. ISBN 978-0-393-06681-4. 1 2 "Al Spalding Managerial Record". Baseball-Reference. Sports Reference LLC. Retrieved August 3, 2009. 1 2 "Frank Chance - Retrosheet". Retrosheet. Retrieved August 3, 2009. 1 2 3 4 "Charlie Grimm Managerial Record". Baseball-Reference. Sports Reference LLC. Retrieved August 3, 2009. 1 2 "Cubs Timeline - 1960s". Major League Baseball. Retrieved August 5, 2009. 1 2 "Chicago Cubs Team History & Encyclopedia". Baseball-Reference. Sports Reference LLC. Retrieved August 5, 2009. 1 2 "Leo Durocher Managerial Record". Baseball-Reference. Sports Reference LLC. Retrieved August 4, 2009. 1 2 3 4 5 "Manager of the Year winners". Major League Baseball. Retrieved August 4, 2009. ↑ Madden, Bill (2010-07-20). "Lou Piniella, former Yankees manager and player, will retire as manager of Cubs at end of season". New York: Nydailynews.com. Retrieved 2010-08-22. ↑ "Cubs manager Lou Piniella won't wait for October, to retire after today's game - Daily Pitch: MLB News, Standings, Schedules & More - USATODAY.com". Content.usatoday.com. 2010-01-08. Retrieved 2010-08-22. 1 2 "Cubs' Managers". Major League Baseball. Retrieved August 4, 2009. ↑ "Baseball Hall of Fame Inductees". Baseball-Reference. Sports Reference LLC. Retrieved August 8, 2009. ↑ "Bob Ferguson Managerial Record". Baseball-Reference. Sports Reference LLC. Retrieved August 3, 2009. 1 2 "Cap Anson Managerial Record". Baseball-Reference. Sports Reference LLC. Retrieved August 3, 2009. ↑ "Silver Flint Managerial Record". Baseball-Reference. Sports Reference LLC. Retrieved August 3, 2009. ↑ "Tom Burns Managerial Record". Baseball-Reference. Sports Reference LLC. Retrieved August 3, 2009. ↑ "Tom Loftus Managerial Record". Baseball-Reference. Sports Reference LLC. Retrieved August 3, 2009. ↑ "Frank Selee Managerial Record". Baseball-Reference. Sports Reference LLC. Retrieved August 3, 2009. ↑ "Frank Chance Managerial Record". Baseball-Reference. Sports Reference LLC. Retrieved August 3, 2009. 1 2 "Johnny Evers Managerial Record". Baseball-Reference. Sports Reference LLC. Retrieved August 3, 2009. ↑ "Hank O'Day Managerial Record". Baseball-Reference. Sports Reference LLC. Retrieved August 3, 2009. ↑ "Roger Bresnahan Managerial Record". Baseball-Reference. Sports Reference LLC. Retrieved August 3, 2009. ↑ "Joe Tinker Managerial Record". Baseball-Reference. Sports Reference LLC. Retrieved August 3, 2009. ↑ "Fred Mitchell Managerial Record". Baseball-Reference. Sports Reference LLC. Retrieved August 3, 2009. ↑ "Fred Mitchell - Retrosheet". Retrosheet. Retrieved August 3, 2009. ↑ "Bill Killefer Managerial Record". Baseball-Reference. Sports Reference LLC. Retrieved August 3, 2009. ↑ "Rabbit Maranville Managerial Record". Baseball-Reference. Sports Reference LLC. Retrieved August 3, 2009. ↑ "George Gibson Managerial Record". Baseball-Reference. Sports Reference LLC. Retrieved August 3, 2009. ↑ "Joe McCarthy Managerial Record". Baseball-Reference. Sports Reference LLC. Retrieved August 3, 2009. ↑ "Joe McCarthy - Retrosheet". Retrosheet. Retrieved August 3, 2009. ↑ "Rogers Hornsby Managerial Record". Baseball-Reference. Sports Reference LLC. Retrieved August 3, 2009. 1 2 "Charlie Grimm - Retrosheet". Retrosheet. Retrieved August 3, 2009. ↑ "Gabby Hartnett Managerial Record". Baseball-Reference. Sports Reference LLC. Retrieved August 3, 2009. ↑ "Gabby Hartnett - Retrosheet". Retrosheet. Retrieved August 3, 2009. ↑ "Jimmie Wilson Managerial Record". Baseball-Reference. Sports Reference LLC. Retrieved August 3, 2009. ↑ "Roy Johnson Managerial Record". Baseball-Reference. Sports Reference LLC. Retrieved August 3, 2009. ↑ "Frankie Frisch Managerial Record". Baseball-Reference. Sports Reference LLC. Retrieved August 3, 2009. ↑ "Phil Cavarretta Managerial Record". Baseball-Reference. Sports Reference LLC. Retrieved August 3, 2009. ↑ "Stan Hack Managerial Record". Baseball-Reference. Sports Reference LLC. Retrieved August 3, 2009. ↑ "Bob Scheffing Managerial Record". Baseball-Reference. Sports Reference LLC. Retrieved August 4, 2009. ↑ "Lou Boudreau Managerial Record". Baseball-Reference. Sports Reference LLC. Retrieved August 4, 2009. 1 2 3 "Vedie Himsl Managerial Record". Baseball-Reference. Sports Reference LLC. Retrieved August 4, 2009. 1 2 "Harry Craft Managerial Record". Baseball-Reference. Sports Reference LLC. Retrieved August 4, 2009. 1 2 3 "El Tappe Managerial Record". Baseball-Reference. Sports Reference LLC. Retrieved August 4, 2009. 1 2 3 "Lou Klein Managerial Record". Baseball-Reference. Sports Reference LLC. Retrieved August 4, 2009. ↑ "Charlie Metro Managerial Record". Baseball-Reference. Sports Reference LLC. Retrieved August 4, 2009. ↑ "Bob Kennedy Managerial Record". Baseball-Reference. Sports Reference LLC. Retrieved August 4, 2009. ↑ "Whitey Lockman Managerial Record". Baseball-Reference. Sports Reference LLC. Retrieved August 4, 2009. ↑ "Jim Marshall Managerial Record". Baseball-Reference. Sports Reference LLC. Retrieved August 4, 2009. ↑ "Herman Franks Managerial Record". Baseball-Reference. Sports Reference LLC. Retrieved August 4, 2009. 1 2 "Joey Amalfitano Managerial Record". Baseball-Reference. Sports Reference LLC. Retrieved August 4, 2009. ↑ "Preston Gomez Managerial Record". Baseball-Reference. Sports Reference LLC. Retrieved August 4, 2009. ↑ "Lee Elia Managerial Record". Baseball-Reference. Sports Reference LLC. Retrieved August 4, 2009. ↑ "Charlie Fox Managerial Record". Baseball-Reference. Sports Reference LLC. Retrieved August 4, 2009. ↑ "Jim Frey Managerial Record". Baseball-Reference. Sports Reference LLC. Retrieved August 4, 2009. ↑ "Jim Frey - Retrosheet". Retrosheet. Retrieved August 4, 2009. ↑ "John Vukovich Managerial Record". Baseball-Reference. Sports Reference LLC. Retrieved August 4, 2009. ↑ "Gene Michael Managerial Record". Baseball-Reference. Sports Reference LLC. Retrieved August 4, 2009. ↑ "Frank Lucchesi Managerial Record". Baseball-Reference. Sports Reference LLC. Retrieved August 4, 2009. ↑ "Don Zimmer Managerial Record". Baseball-Reference. Sports Reference LLC. Retrieved August 4, 2009. ↑ "Don Zimmer - Retrosheet". Retrosheet. Retrieved August 4, 2009. ↑ "Joe Altobelli Managerial Record". Baseball-Reference. Sports Reference LLC. Retrieved August 4, 2009. ↑ "Jim Essian Managerial Record". Baseball-Reference. Sports Reference LLC. Retrieved August 4, 2009. ↑ "Jim Lefebvre Managerial Record". Baseball-Reference. Sports Reference LLC. Retrieved August 4, 2009. ↑ "Tom Trebelhorn Managerial Record". Baseball-Reference. Sports Reference LLC. Retrieved August 4, 2009. ↑ "Jim Riggleman Managerial Record". Baseball-Reference. Sports Reference LLC. Retrieved August 4, 2009. ↑ "Jim Riggleman - Retrosheet". Retrosheet. Retrieved August 4, 2009. ↑ "Don Baylor Managerial Record". Baseball-Reference. Sports Reference LLC. Retrieved August 4, 2009. ↑ "Rene Lachemann Managerial Record". Baseball-Reference. Sports Reference LLC. Retrieved August 4, 2009. ↑ "Bruce Kimm Managerial Record". Baseball-Reference. Sports Reference LLC. Retrieved August 4, 2009. ↑ "Dusty Baker Managerial Record". Baseball-Reference. Sports Reference LLC. Retrieved August 4, 2009. ↑ "Dusty Baker - Retrosheet". Retrosheet. Retrieved August 4, 2009. ↑ "Lou Pinella Managerial Record". Baseball-Reference. Sports Reference LLC. Retrieved October 31, 2010. ↑ "Lou Piniella - Retrosheet". Retrosheet. Retrieved August 4, 2009. ↑ "Mike Quade Managerial Record". Baseball-Reference. Sports Reference LLC. Retrieved October 31, 2010. ↑ "Dale Sveum is Cubs' new manager". Baseball-Reference. ESPN Chicago. Retrieved November 17, 2011. ↑ "World Series". Major League Baseball. Retrieved August 4, 2009.